BRIGHTON, Mich. Jan. 24, 2012 - Today on Ford’s blog, Ford Social, the company announced that they are brining the “stock car” back to NASCAR with the release of the 2013 NASCAR Ford Fusion racecar. The 2013 NASCAR Fusion racecar will be based on the production model that was revealed at this year’s North American International Auto Show in Detroit. Hundreds of users we able to join in the action of the live unveiling of the 2013 NASCAR Fusion on a live streaming video on the blogs site this afternoon. The viewers were able to see the racecar live as it was revealed as well as interviews with some of Ford Racing’s drivers, and even got to see the car in action at the Charlotte Motor Speedway. The live chat box was soon flooded as Ford lovers and NASCAR enthusiasts were eager to share their excitement and reactions on the newest addition to the Ford Racing team. 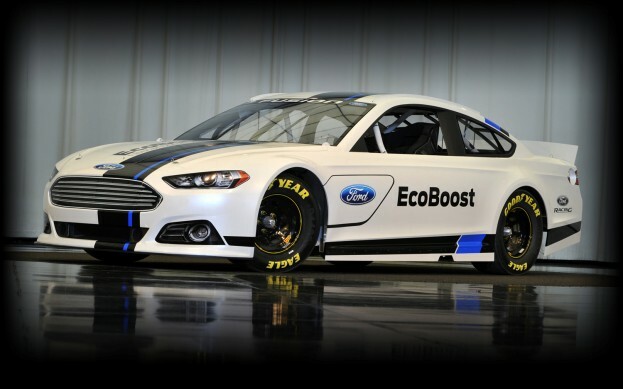 Designers in the Ford Design Center worked extensively on the 2013 Ford Fusion NASCAR, the first stock car project by the team since 1970. This unveiling was the first of the 2013 NASCAR racecars that will bring automaker brand identity back to the sport, making it a standout moment. Be sure to check out the Ford Social blog for more opportunities to see special events like this or for more information on the 2013 Ford Fusion NASCAR.